For over a year, the United States has played out a scenario designed to (1) reassert U.S. control over Europe by blocking E.U. trade with Russia, (2) bankrupt Russia, and (3) get rid of Vladimir Putin and replace him with an American puppet, like the late drunk, Boris Yeltsin. The past few days have made crystal clear the perfidy of the economic side of this U.S. war against Russia. It all began at the important high-level international meeting on Ukraine’s future held in Yalta in September 2013, where a major topic was the shale gas revolution which the United States hoped to use to weaken Russia. Former U.S. energy secretary Bill Richardson was there to make the pitch, applauded by Bill and Hillary Clinton. Washington hoped to use its fracking techniques to provide substitute sources for natural gas, driving Russia out of the market. This amounts to selling Europe a pig in a poke. But this trick could not be accomplished by relying on the sacrosanct “market”, since fracking is more costly than Russian gas extraction. A major crisis was necessary in order to distort the market by political pressures. By the February 22 coup d’état, engineered by Victoria Nuland, the United States effectively took control of Ukraine, putting in power its agent “Yats” (Arseniy Yatsenyuk) who favors joining NATO. This direct threat to Russia’s naval base in Crimea led to the referendum which peacefully returned the historically Russian peninsula to Russia. But the U.S.-led chorus condemned the orderly return of Crimea as “Russian military aggression”. This defensive move is trumpeted by NATO as proof of Putin’s intention to invade Russia’s European neighbors for no reason at all. Meanwhile, the United States’ economic invasion has gone largely unnoticed. Ukraine has some of the largest shale gas reserves in Europe. Like other Europeans, Ukrainians had demonstrated against the harmful environmental results of fracking on their lands, but unlike some other countries, Ukraine has no restrictive legislation. Chevron is already getting involved. As of last May, R. Hunter Biden, son of the U.S. Vice President, is on the Board of Directors of Burisma Holdings, Ukraine’s largest private gas producer. The young Biden will be in charge of the Holdings’ legal unit and contribute to its “international expansion”. Ukraine has rich soil as well as shale oil reserves. The U.S. agribusiness giant Cargill is particularly active in Ukraine, investing in grain elevators, animal feed, a major egg producer and agribusiness firm, UkrLandFarming, as well as the Black Sea port at Novorossiysk. The very active U.S.-Ukraine Business Council includes executives of Monsanto, John Deere, agriculture equipment-maker CNH Industrial, DuPont Pioneer, Eli Lilly & Company. Monsanto plans to build a $140 million “non-GMO corn seed plant in Ukraine”, evidently targeting the GMO-shy European market. It was in her speech at a Chevron-sponsored meeting of the U.S.-Ukraine Business Council a year ago that Victoria Nuland mentioned the five billion dollars spent by the U.S. in the last twenty years to win over Ukraine. On December 2, President Poroshenko swore in three foreigners as cabinet ministers: an American, a Lithuanian and a Georgian. He granted them Ukrainian citizenship a few minutes before the ceremony. Union, in order to head the economic department of the newly opened U.S. embassy. Three years later she left the U.S. Embassy to head the U.S. government-financed Western NIS Enterprise Fund. In 2004 she established her own equity fund. As a supporter of the 2004 Orange Revolution, she served on “Orange” victor President Viktor Yushchenko’s Foreign Investors Advisory Council. Lithuanian investment banker Aivaras Abromavicius is the new Economy Minister, putting government economic policy clearly under U.S. influence, or rather control. The new Health Minister, Aleksandr Kvitashvili from Georgia, is U.S.-educated and does not speak Ukrainian. He had served as health minister in his native Georgia, when U.S. puppet Mikheil Saakashvili was President. The U.S. grip on Ukraine’s economy is now complete. The stage is set to begin fracking, perhaps transforming Hunter Biden into Ukraine’s newest oligarch. Nobody is mentioning this, but the controversial trade agreement between the E.U. and Ukraine, whose postponement set off the Maidan protests leading to the U.S.-steered February 22 coup d’état, removes trade barriers, allowing free entry into E.U. countries of agricultural exports produced in Ukraine by U.S. corporations. The Ukrainian government is deeply in debt, but that will not prevent American corporations from making huge profits in that low-wage, regulation-free and fertile country. European grain producers, such as France, may find themselves severely damaged by the cheap competition. The Russophobic Kiev government’s assault on Southeastern Ukraine is killing the country’s industrial sector, whose markets were in Russia. But to Kiev’s rulers from Western Ukraine, that does not matter. The death of old industry can help keep wages low and profits high. Just as Americans decisively took control of the Ukrainian economy, Putin announced cancellation of the South Stream gas pipeline project. The deal was signed in 2007 between Gazprom and the Italian petrochemical company ENI, in order to ensure Russian gas deliveries to the Balkans, Austria and Italy by bypassing Ukraine, whose unreliability as a transit country had been demonstrated by repeated failure to pay bills or syphoning of gas intended for Europe for its own use. The German Wintershall and the French EDF also invested in South Stream. In recent months, U.S. representatives began to put pressure on the European countries involved to back out of the deal. South Stream was a potential life-saver for Serbia, still impoverished by the results of NATO bombing and fire-sale giveaways of its privatized industries to foreign buyers. Aside from much-needed jobs and energy security, Serbia was in line to earn 500 million euros in annual transit fees. Belgrade resisted warnings that Serbia must go along with E.U. 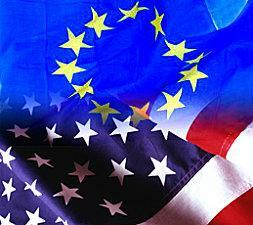 foreign policy against Russia in order to retain its status as candidate to join the E.U. The weak link was Bulgaria, earmarked for similar benefits as the landing point of the pipeline. U.S. Ambassador to Sofia Marcie Ries started warning Bulgarian businessmen that they could suffer from doing business with Russian companies under sanctions. The retiring president of the European Commission, José Manuel Barroso from Portugal, who used to be a “Maoist” back when “Maoism” was the cover for opposition to Soviet-backed liberation movements in Portugal’s African colonies, threatened Bulgaria with E.U. proceedings for irregularities in South Stream contracts. This refers to E.U. rules against allowing the same company to produce and transfer gas. In short, the E.U. was attempting to apply its own rules retroactively to a contract signed with a non-EU country before the rules were adopted. Finally, John McCain flew into Sofia to browbeat the Bulgarian Prime Minister, Plamen Oresharski, to pull out of the deal, leaving South Stream out in the Black Sea without a point of entry onto the Balkan mainland. This is all very funny considering that a favorite current U.S. war propaganda theme against Russia is that Gazprom is a nefarious political weapon used by Putin to “coerce” and “bully” Europe. The only evidence is that Russia has repeatedly called on Ukraine to pay its long-overdo gas bills. In vain. Cancellation of South Stream amounts to a belated blow to Serbia from NATO. Serbian Prime Minister Aleksandar Vucic bewailed the loss of South Stream, noting that: “We are paying the price of a conflict between big powers”. Italian partners to the deal are also very unhappy at the big losses. But E.U. officials and media are, as usual, blaming it all on Putin. Perhaps, when you are repeatedly insulted and made to feel unwelcome, you go away. Putin took his gas pipeline project to Turkey and immediately sold it to Turkish Prime Minister Recep Erdogan. This looks like a good deal for Russia, and for Turkey, but the whole affair remains ominous. Russian oil as a means of coercion? If Putin could use Gazprom to get Erdogan to change his policy on Syria, and drop his determination to overthrow Bachar al Assad, in order to defeat the Islamic State fanatics, that would be an excellent outcome. But so far, there is no sign of such a development. The switch from the Balkans to Turkey deepens the gulf between Russia and Western Europe, which in the long run is harmful to both. But it also sharpens the economic inequality between Northern and Southern Europe. Germany still gets gas deliveries from Russia, notably from Gerhard Schroeder’s co-project with Putin, Nord Stream. But Southern European countries, already in deep crisis caused largely by the euro, are left out in the cold. This turn of events might contribute to the political revolt that is growing in those countries. As voices were being raised in Italy complaining that anti-Russian sanctions were hurting Europe but leaving the United States unscathed, Europeans could take comfort in kind words from the Nobel Peace Prize winner in the White House, who praised the European Union for doing the right thing, even though it is “tough on the European economy”. In a speech to leading CEOs on December 3, Obama said the sanctions were intended to change Putin’s “mindset”, but didn’t think this would succeed. He is waiting for “the politics inside Russia” to “catch up with what’s happening in the economy, which is why we are going to continue to maintain that pressure.” This was another way of saying that stealing Russia’s natural gas market, forcing Europe to enact sanctions, and getting Washington’s bigoted stooges in Saudi Arabia to bring down petroleum prices by flooding the market, are all intended to make the Russian people blame Putin enough to get rid of him. Regime change, in short. After a long list of “Whereas” lies, insults and threats, we get the crass commercial side of this dangerous campaign. The House calls on European countries to “reduce the ability of the Russian Federation to use its supply of energy as a means of applying political and economic pressure on other countries, including by promoting increased natural gas and other energy exports from the United States and other countries” and “urges the President to expedite the United States Department of Energy’s approval of liquefied natural gas exports to Ukraine and other European countries”. The Congress is ready to risk and even promote nuclear war, but when it comes to the “bottom line”, it is a matter of stealing Russia’s natural gas market by what so far is a bluff: shale gas obtained by U.S. fracking. The neocons who manipulate America’s clueless politicians have not got us into a new Cold War. It is much worse. The long rivalry with the Soviet Union was “Cold” because of MAD, Mutual Assured Destruction. Both Washington and Moscow were perfectly aware that “Hot” war meant nuclear exchanges that would destroy everybody. This time around, the United States thinks it already “won” the Cold War and seems to be drunk with self-confidence that it can win again. It is upgrading its nuclear weapons force and building a “nuclear shield” on Russia’s border whose only purpose can be to give the United States a first strike capacity – the ability to knock out any Russian retaliation against a U.S. nuclear attack. This cannot work, but it weakens deterrence. The danger of outright war between the two nuclear powers is actually much greater than during the Cold War. We are now in a sort of Frozen War, because nothing the Russians say or do can have any effect. The neocons who manufacture U.S. policy behind the scenes have invented a totally fictional story about Russian “aggression” which the President of the United States, the mass media and now the Congress have accepted and endorsed. Russian leaders have responded with honesty, truth and common sense, remaining calm despite the invective thrown at them. It has done no good whatsoever. The positions are frozen. When reason fails, force follows. Sooner or later.